A guide to men’s body shapes is a video blog post I made for men to explain the trapezoid, inverted triangle, triangle, rectangle and oval body shapes and provide style tips and tricks for each. Don’t forget to like and share this post and follow! Most people are attracted to a specific group of colours and for good reason, they typically look great on us. This is the first key to mixing and matching, colour. My favorite colours are red, hot pink, emerald green, navy blue, grey, mushroom and black. In my colour mix I have 4 staple colours that are easily matched with other colours; grey, mushroom, navy and black. The great thing about the other colours in this palette is that they are also easily matched with each other, so that I can make many different combinations of two, three and four colours. Not everyone has as versatile palette but I hope you see my point, which is to use colour as a guide when shopping. Buy variations in print, cut and style of your favorite colours and neutrals and make sure you also thread these colours into your accessories. You’ll find it much easier to mix and match outfits this way. Share examples of your new mix n’ match outfits. Or ask me questions about your colours and pieces. You can email me at info@stylesmartsensei.com and I will feature your photos, questions and answers in an upcoming blog. Do you skip the makeup routine altogether because it takes too much time? Or does it take forever to do your makeup in the mornings and you want to cut down? As a makeup artist I love doing makeup, but sometimes I just don’t have the time. Here are 5 tips to 5 minute makeup that will make sure your face looks as put together as your outfit! Here is my guide on buying the right jacket to fit your body shape. Since we are heavier on the bum and thighs and tiny in the waist and upper body, we want to draw the eye upwards with a nice ruffled collar or fur collar or some fun detailing. The waist should be belted or have a tapered/faux waistline with an a-line or flare bottom. Make sure the length falls to the knee! If it’s too short, not only will you be cold, but the eye will be drawn down to your problem areas. We want to play down our bulky or too broad upper and midsection and show off our legs. The best jackets for this body type are structured, with little detail and an empire waist. No ruffles or bows and etc as these will add more bulk to the problem areas. We want to add curves so have fun with ruffles and collars, buttons and other fun details to help give you curves. No straight jackets! Right now, capes are back in fashion and they are perfect for this shape – just make sure they aren’t too long. The objective here is to draw the eye downward to your hot bum and great legs! Not a cape up inverts that triangle shape! We have the so-called perfect shape and want to accentuate our waist! We get to play too, big collars, cinched waists, buttons, fur – you name it! Last year I was invited to a fancy gala for the Toronto International Film Festival. 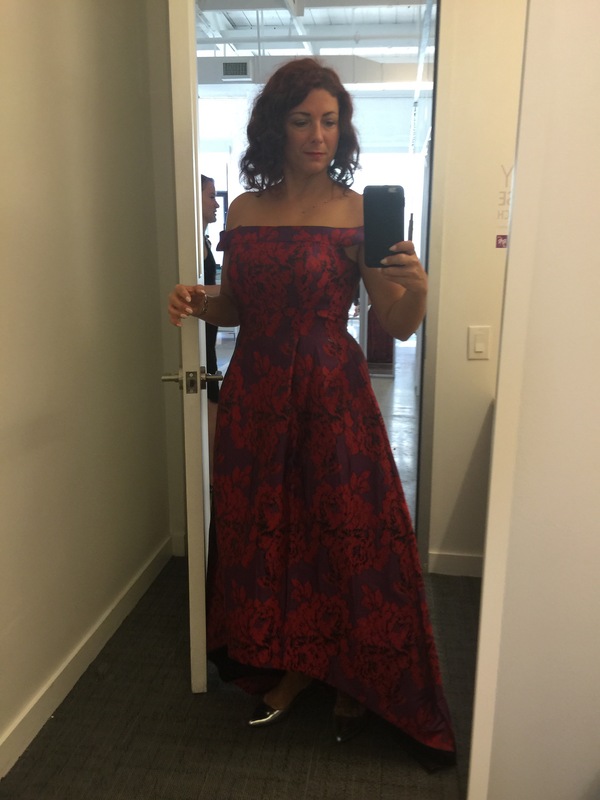 I was thrilled to be going, but like most women I had plenty of cocktail dresses and nothing gala-worthy to consider. I wasn’t keen on spending several hundred dollars on a dress either. I knew that you could rent designer handbags and dresses in New York and wondered if this could be the case in Toronto. I went on a google hunt and found Rent Frock Repeat a designer dress rental boutique in the west end. I signed up for an account and was able to enter my size, body shape and other preferences. I was also able to shop online for dresses using a variety of intuitive search filters. 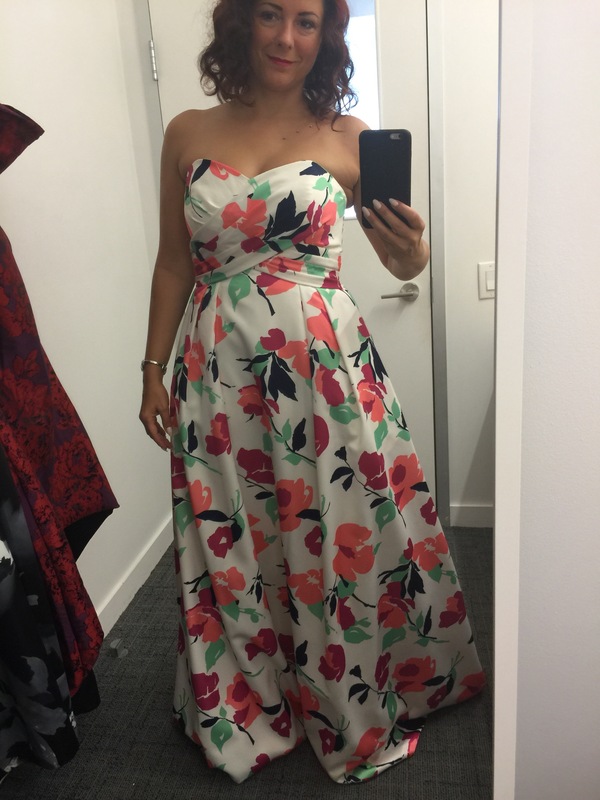 I found three dresses I was really interested in wearing, saved them in my profile with notes, then reserved a free stylist session to go and try the dresses on. When I arrived they had my dresses ready to try, including a couple they had selected for me. 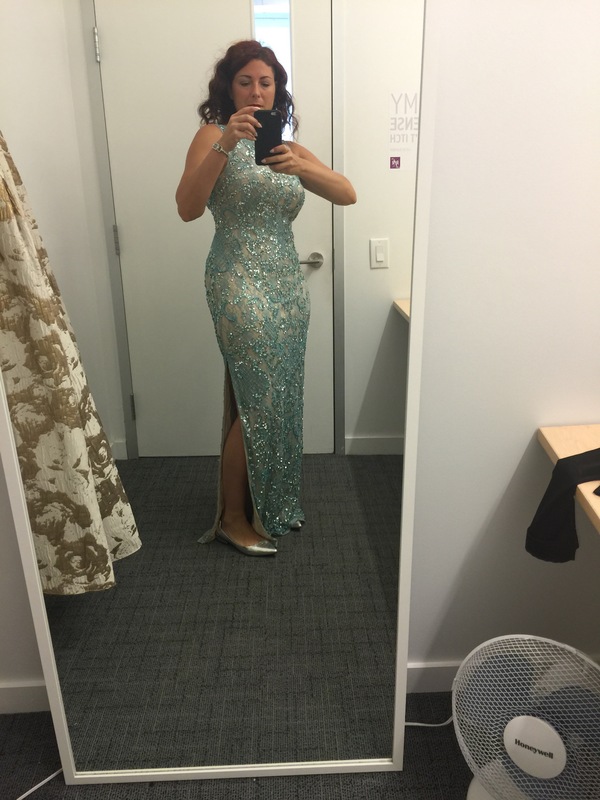 As I tried on each dress they would write notes in my online profile about how it looked, sizing and etc. so that my favorites could be saved for future events. The best part was, they delivered my dress two days before the event with a prepaid return delivery bag. All I had to do was wear the dress, fold it back into the return bag and drop it to the post office. No dry cleaning hassle, no running around the city to pick up and drop off the dress. It was all so convenient and simple! 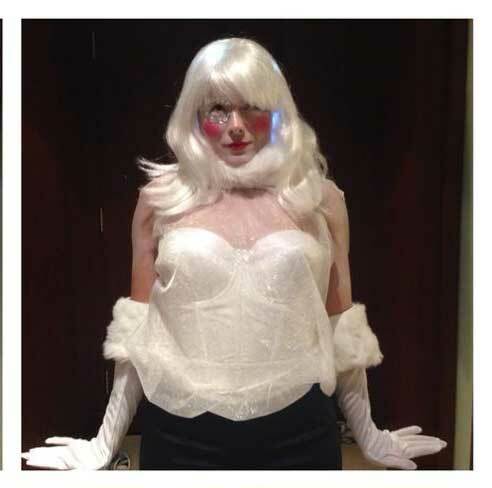 Not only did I look amazing in the dress, it only cost $150 to rent. I have been a regular user since! Have you used RFR before? Or have you ever considered renting designer? Share your experiences in the comments below! **No one at RFR asked me to write about this. I had such a great experience I thought I’d share this service with the women of Toronto. I was watching “The Social” the other day and introduced the new fashion term, “groutfit” which actually means wearing two or more items that are grey in a monochromatic look. Stylist Erica Ward suggested that the best way to wear a groutfit is to layer different colours and textures of grey. Some of the outfits on the show incorporated fur, patent leather, wool, cashmere and some brought in a print into the mix. I think all of this is fantastic however, some people just can’t or don’t know how to wear grey. Grey is a tricky color. If you wear the wrong shade essentially it can wash your face out causing a sallow, sick looking face – quite literally a grey face! What is the solution? Find the right tone of grey and make sure that you wear that tone around/near your face. Remember the summer, winter, fall and spring colours? Warm vs. cold tones? This ensures that you avoid the dark circled, old and tired look. The monochromatic look is pretty cool and sleek looking, but if you love colour and want to add it, bring in a bright lipstick or colourful eye. Alternatively, just add one accessory in colour. 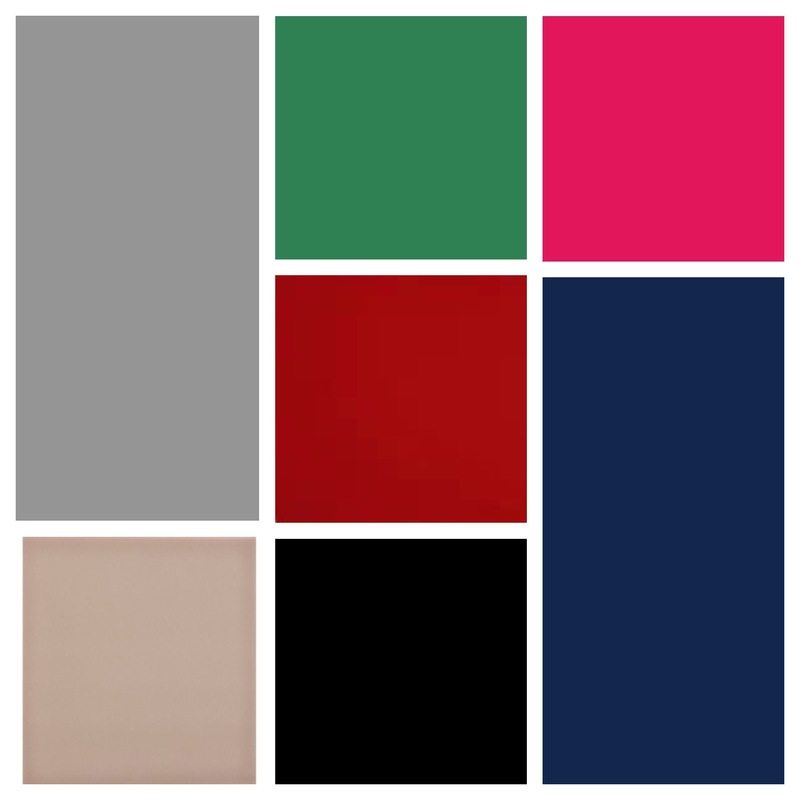 Grey is the new black, it goes with everything so red, pink, green, navy – they will all match! Try it on in the shoes or the handbag or even your tuque! One last thing about monochromatic – this is a great option for ladies who want to hide the fact that they don’t have a waist or that they are too short. It helps to elongate the figure and slim you. If slimming is particularly important I would avoid too much bulk from fur and ruffles! To view some of the styles Erica Wark put together, visit The Social’s page here. What’s your take on grey on grey? Body shape – we are obsessed with it. Either we are too big, too small, not curvy enough not skinny enough or not lump-free enough. We can spend tons of money getting this nipped and that tucked, but the best solution to fixing our imperfections is not to fix them at all. No single body is exactly alike and no single perception of your body is alike. We just have to embrace all our lumps, bumps, curves, and edges and figure out the best way to dress for our shape. Accept your body for what it looks like. If you are short you will never be tall. Unless plastic surgery IS an option for you, your body shape will not change. Be realistic when you think about your body. Everyone has a general body shape, learn yours. Are you an apple? a pear? an hour glass? a column? an inverted triangle? or an oval? Different cuts of clothes and fabric textures fall on your body in ways that may complement or exaggerate your shape. Ex. If you are a pear shape, you might wear a top with a ruffled chest or sleeve to add depth to your narrow shoulders and petite bust. You might do the same as a column to give the appearance of a bust. But if you are an inverted triangle, all those ruffles are going to do is make your shoulders look BIGGER! Use colour to help create a balanced shape. Ex. Use monochromatic colours if you are round or full bodied in the middle as this helps keep a clean line from head to toe. If you are an inverted triangle wear a lighter pant with texture or a print to draw the eye away from the broad shoulders and wear a dark coloured top. Just because its on trend or in fashion doesn’t mean it will flatter your figure. Ex. If you are pear shaped you likely cannot wear any skirt above the knee so mini’s just won’t work for you no matter how good they look on the model or mannequin. Not sure what shape you are or what cut of clothing might solve your unbalanced figure? Leave a comment and I’ll help you figure it out! Also, keep your eyes peeled for a more detailed look at the different body shapes and smart tips and tricks on dressing them in upcoming posts.